Nice and simple. Short and to the point. 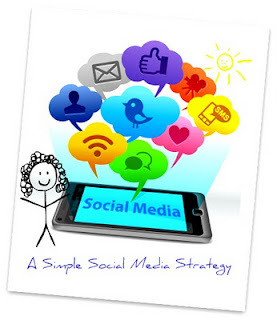 Here are 7 tips on how to create a Social Media strategy for your hotel. 1. Identify Objectives – What is your main goal? Set objectives based on a clear understanding of how Social Media changes the communication loop between your hotels and your guests. Social Media is not about reaching a mass audience and blasting out discounts or advertising. Social Media is about reaching influencers and key decision makers, developing relationships, having conversations, building an online community and gaining insight into your prospect’s needs. 2. Identify Your Audience – Who are you trying to reach to meet your main objective? There are several Social Media platforms, i.e. Facebook, Twitter, Trip Advisor, Foursquare, You Tube, Foursquare, LinkedIn, Blogging, etc. In order to most effectively reach your target audience you must first find out what Social Media channels they use. The best way to do this is to ask! Ask your guests, your customers, your prospects, etc. Then focus your time and attention on those platforms. 3. Training – It’s important to identify an individual who has the interest and desire to start and maintain the hotel’s Social Media presence. Do not assign Social Media to someone who is not eager and enthusiastic! Once you have identified the Social Media channels you want to use, training on those platforms can begin. 4. Property Culture – Once a strategy is in place get your team members to embrace it by making it fun! It is important to involve your team members who interact with your guests in your Social Media discussions. Give them the ability to participate, provide content and communicate/promote your pages and accounts with your guests. 5. Integration – How will your Social Media plan integrate into your hotel’s on-line presence? All Social Media pages/accounts should point your customers to your hotel’s web site for ease of booking reservations through the lowest cost distribution channel. 6. Measurement - How will you measure success? Begin with a simple baseline measurement. Goals will change as your Social Media efforts evolve. Continual review of progress is needed for success.